Bob Gerard Honda has a selection of Honda models available, both used and new, all with useful savings. We’ve selected four of the best, see below for further details. 2011 Honda CR-V 2.2 i-DTEC ES manual, sparkle grey, Alcantara interior, 8300 miles. Reduced from £22,000 to £21,500. 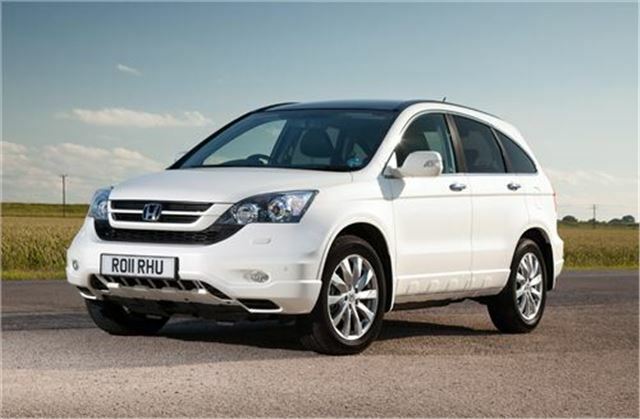 2010 Honda CR-V 2.0 i-VTEC EX, sapphire blue, ivory leather interior, 17,000 miles, £21,990. For more information on these cars and many more, visit the Bob Gerard website or call 01162 592224, quoting Honest John on enquiry.